For those who have long suffered the LCU awards dinners without even a hint of a prize in the raffle 2014 was simply put a triumph. Apart from 3 winners in the raffle even more importantly Phoenix collected three league cups on the night. 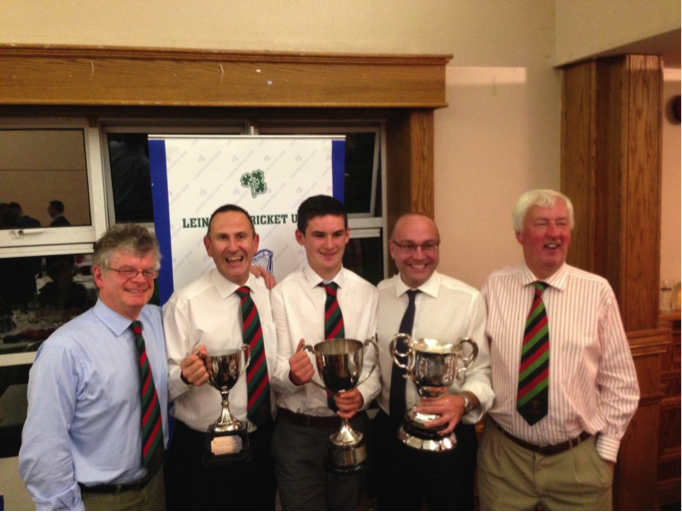 Held every year at Old Belvedere Rugby Club the LCU dinner is a chance for the great and good of Leinster Cricket to get together to celebrate the winners and commiserate with the losers from the summers hectic on field activities. Normally for some of us at Phoenix the only high point for attending the dinner is a chance for some of the Phoenix alickadoos to dust off their club tie (or club blazer Messrs Ward and Mullins!) and reminisce about distant times past when they were winning matches with dogged innings or tidy bowling spells! But 2014’s night was all different. The last couple of years have seen Phoenix pick up an odd league win but Friday night the “blazers” were getting dizzy with the new levels our members had achieved in 2014! 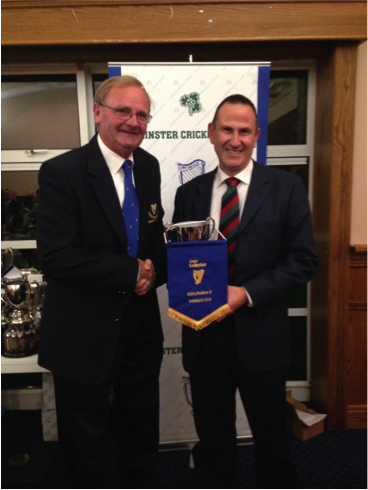 First to collect for winning Division 9 was Phoenix 4th XI captain John Anders- the 4ths had a titanic battle with North County and others to win this league in 2014. The 4th XI team members that were there spent most of the night canvassing their captain (buying him drink!) to try and get picked on next year’s Division 8 team. Captain Anders was having none of it though! 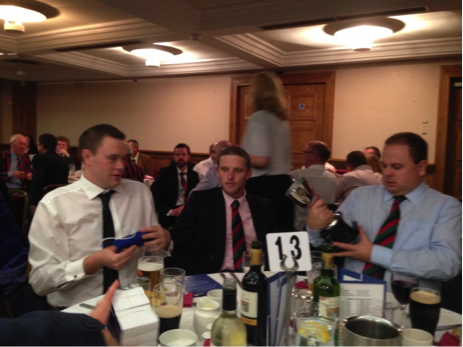 Denis Kearney Nathan Kearns John Anders Adam Bampfield enjoy the LCU Dinner! Next up was the captain of Phoenix 3rd XI Graham Morris. 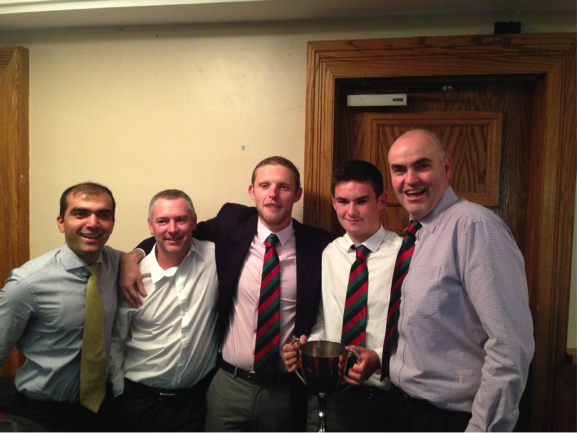 The 3rds won Division 6 this year which was a fine achievement and Graham has been dining out on it since September! Finally, the biggest roar of the night came when the winners of Division 4 were announced. According to the master of ceremonies Michael Sharp “Phoenix 2nds dominated this league with an impressive winning records of 11 wins” and he wasn’t wrong. The 2nd XI were not given much of a chance at the start of the season. When they went down to YMCA in the first game of the season we feared for them. However our skipper Adam Chester was ably supported by batsmen that scored runs, bowlers that took wickets and fielded with a passion and a hunger every week to go 11 games unbeaten after the first day loss. Division 3 waits for the 2nds next year and the team remain equally ambitious for 2015- we look forward to it! 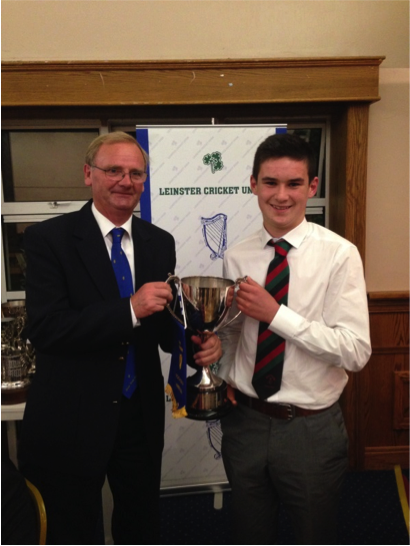 It was a great night for the club and a reward for all the hard work that goes on all year round. 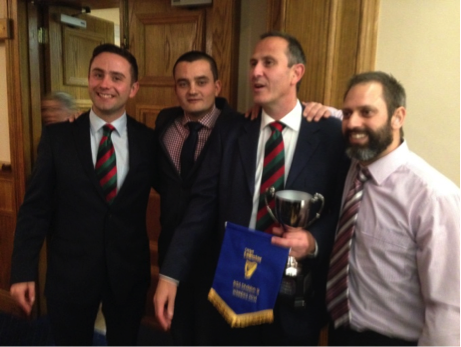 The head of the Cricket Committee David Ensor, past presidents and the current president of Phoenix Michael Brown all attended and were very proud of their players and all spoke of the need to use this success to push on to face the challenges that await in 2015! 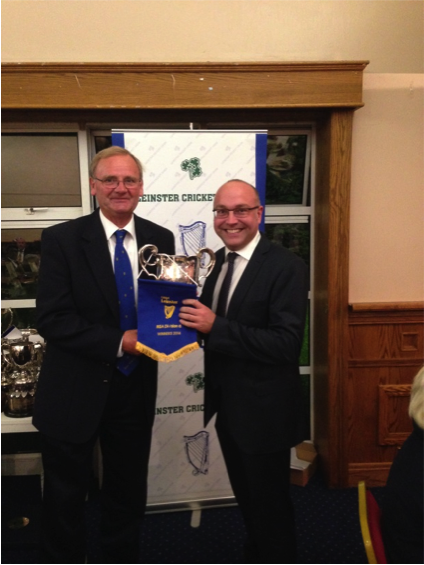 and Chair of Cricket David Ensor. Finally, it is on nights like these that many people remember that Phoenix is a club of many different members. It is always going to be a cricket home for many of our kids, it is a home for members who have been at Phoenix for many decades years and not forgetting his eminence past President Eugene Ward celebrated his 80th birthday in 2014 at Phoenix. 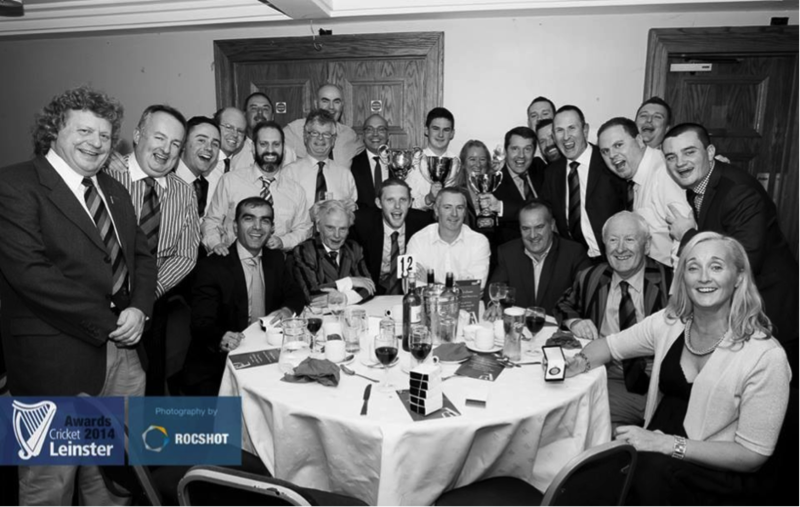 So it is fitting to end this report with a picture showing Phoenix in all its glory as one of the premier clubs in the LCU – a shot of our cricket family representing all the members of Phoenix CC taken on the night we swept the boards at the LCU Awards Dinner 2014!